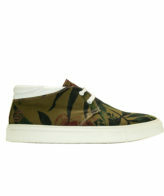 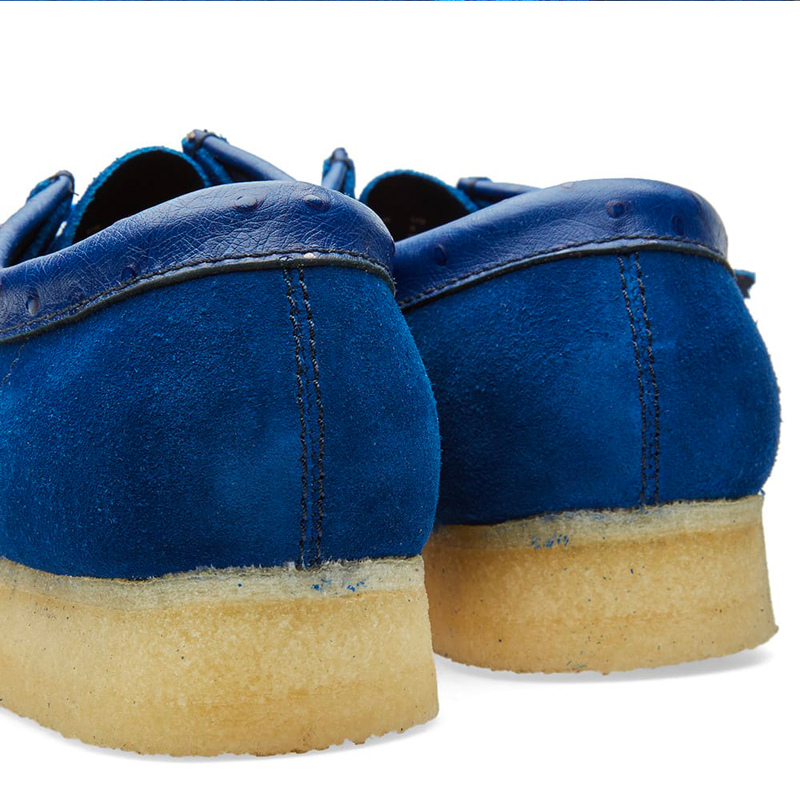 In occasione del 35 ° anniversario, Stussy ha ancora una volta collaborato con il produttore di scarpe Clarks Originals. 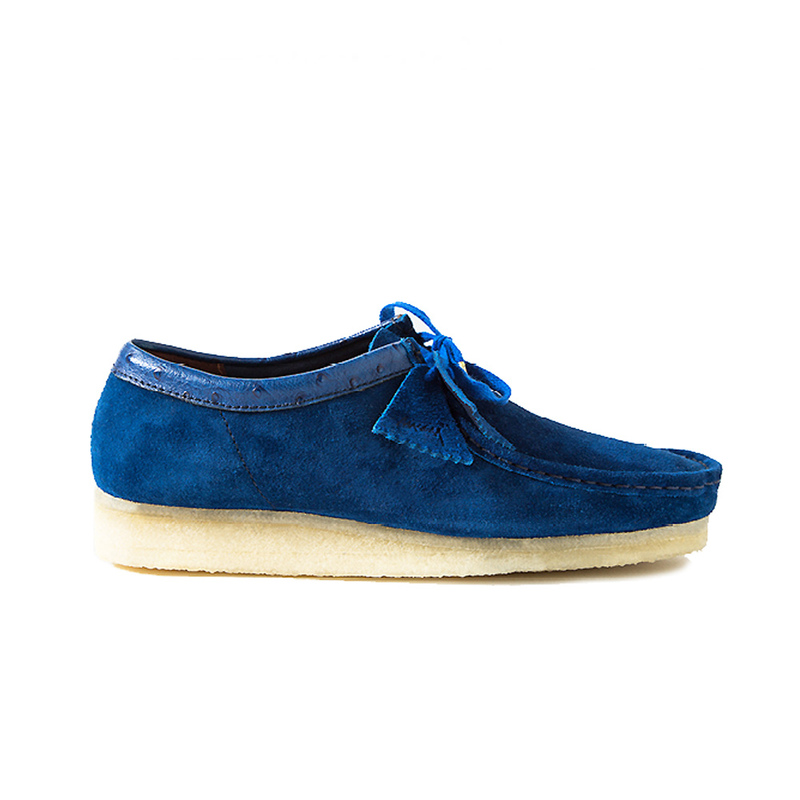 Prendendo come modello l’iconico Wallabee del 1964 nella sua forma originale, e abbinandolo a tomaie in pelle scamosciata True Navy. 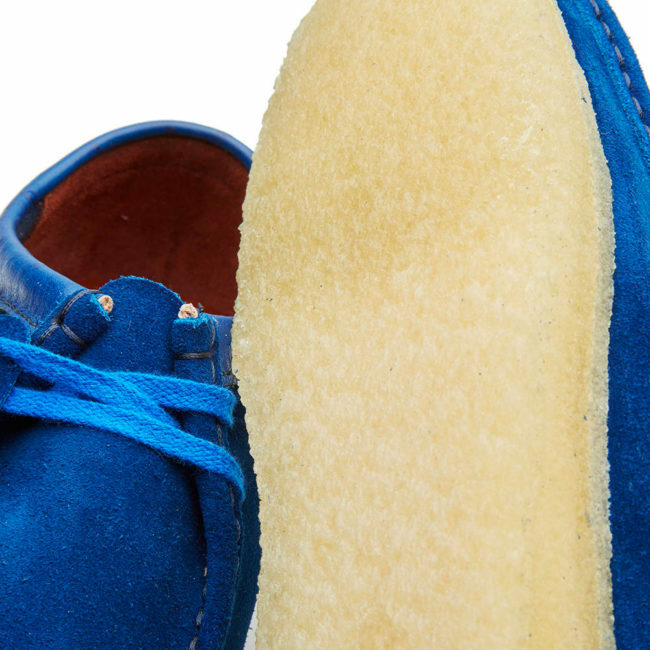 I classici si rinnovano con la pelle di struzzo tono su tono intorno alla caviglia, lacci con punta rinforzata dorata. 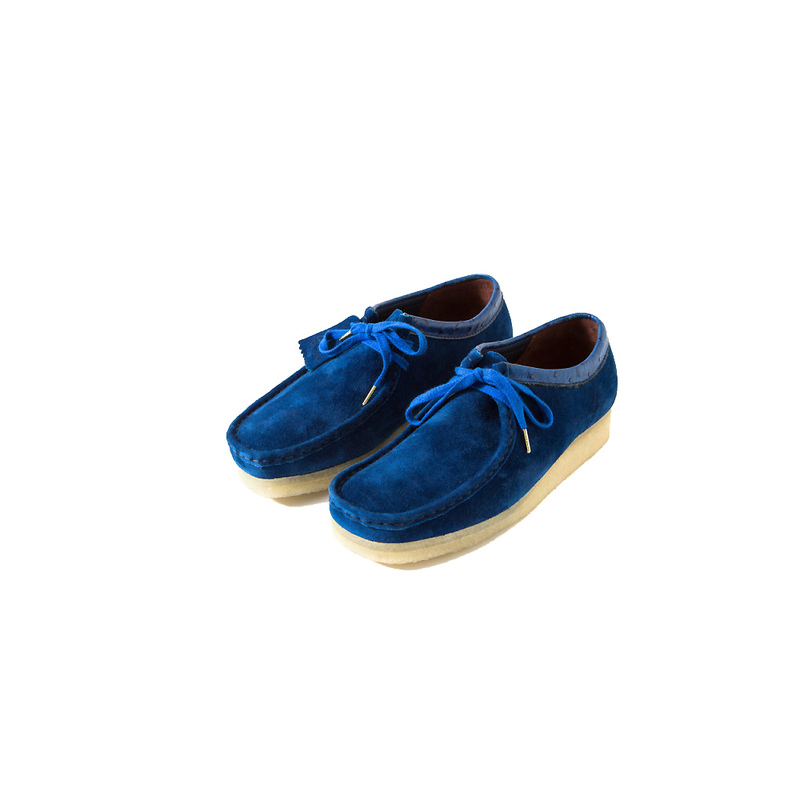 Il marchio Clarks Originals e il marchio Stüssy sono stampati sul portachiavi rimovibile e sul sottopiede. 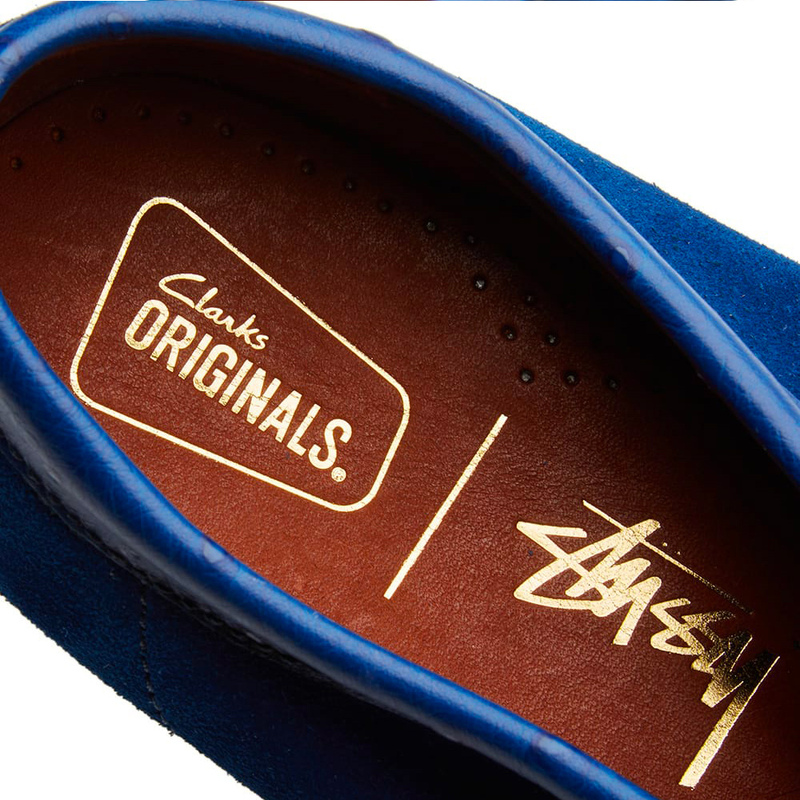 On the occasion of the 35th anniversary, Stussy has once again collaborated with the shoe manufacturer Clarks Originals. 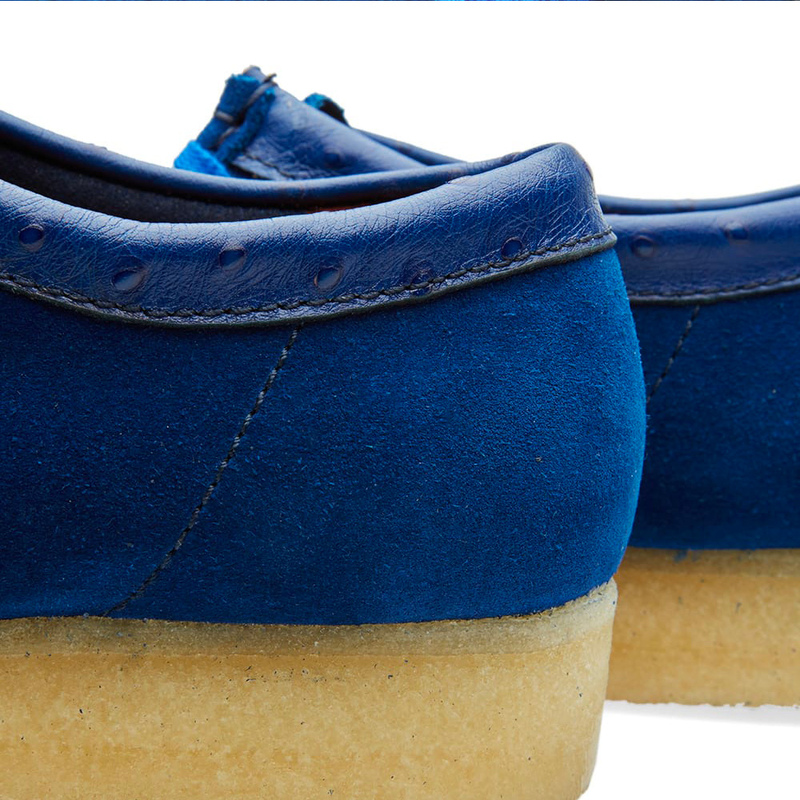 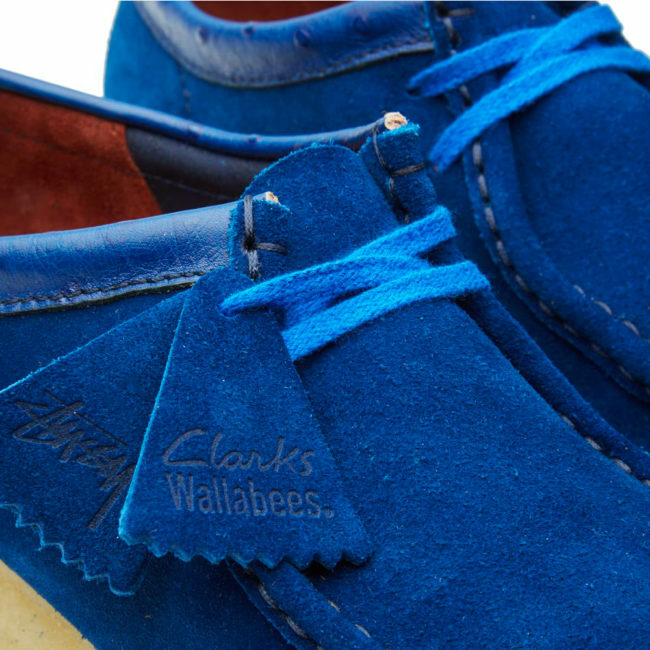 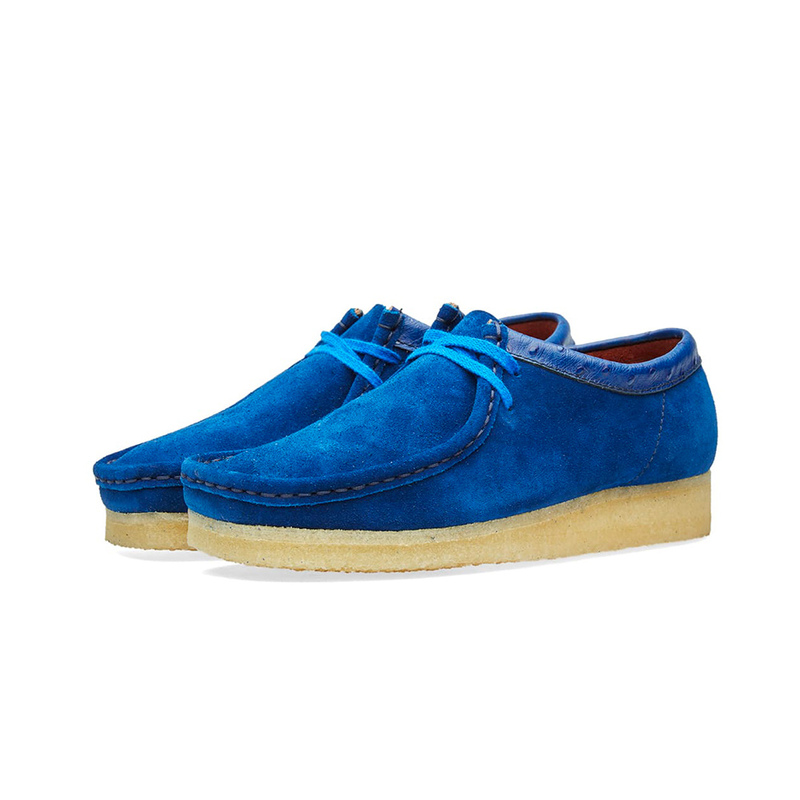 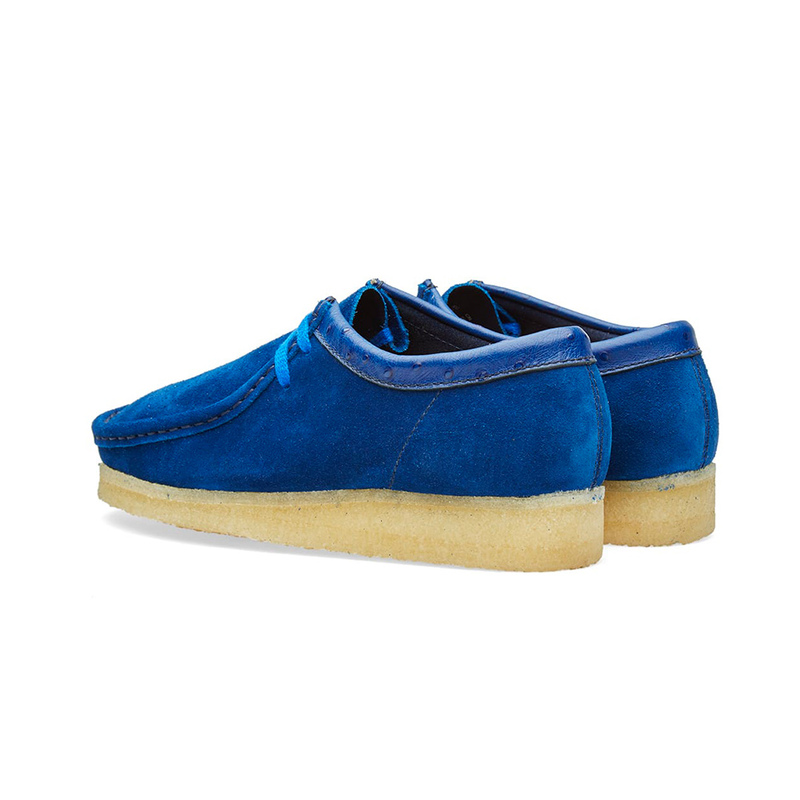 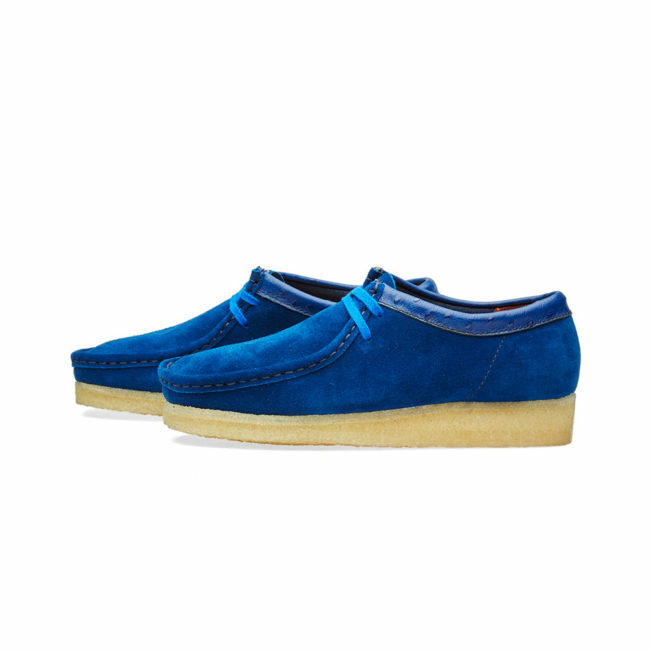 Taking the iconic Wallabee of 1964 as a model in its original form, and matching it with uppers in True Navy suede. 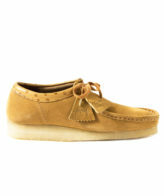 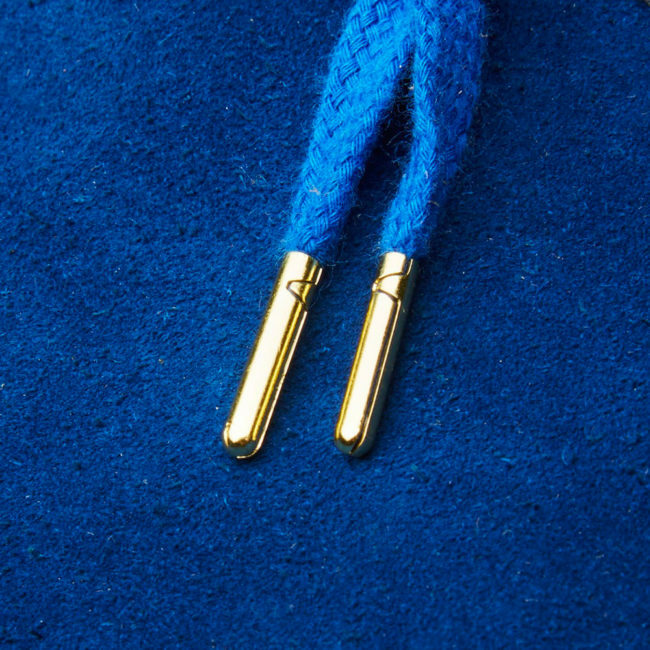 The classics are renewed with the ostrich skin tone on tone around the ankle, laces with golden reinforced toe. The Clarks Originals brand and the Stüssy brand are printed on the removable key ring and the insole.